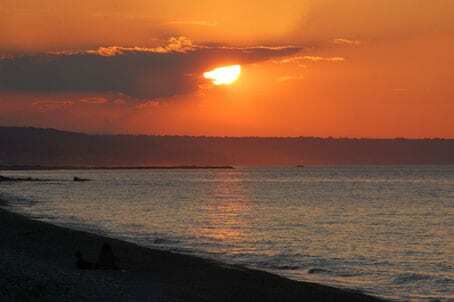 Abruzzo beaches stretch along 129 km of warm Adriatic coastline, 22 of which have been awarded Blue Flag Status, always reassuring to know for anyone swimming in its cooling waters. 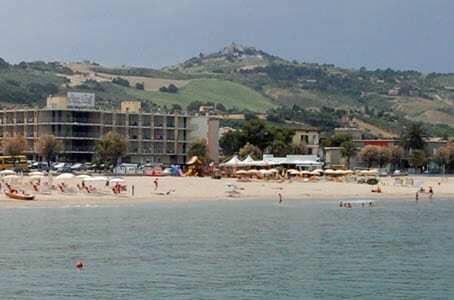 Sweeping sandy beaches characterise the northern provinces of Abruzzo, and the best of the seaside towns are named the Sette Sorrelle (7 Sisters). 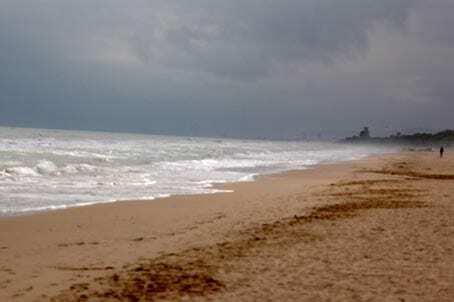 The southern beaches’ piece de resistance is the old fishing town of Vasto , a quieter sort of seaside town, mixture of sand & white stone pebbles, not too hard to walk on and beautiful against the green of the Adriatic Sea. Want an uncrowded beach for the English August Bank Holiday but dread British coastal drabness. Come to Abruzzo!